It goes without saying that summer is my favourite season of the year. Many of my fondest childhood memories took place during the summer, among which included our yearly visit to Canada's Wonderland. We'd pile into our cousin's station wagon and make the one and a half hour trek to Canada's premier theme park, the home of the Mighty Canadian Minebuster, Wonder Mountain and the most delicious funnel cakes. Now that I have kids of my own, the summer months have become ever more precious. 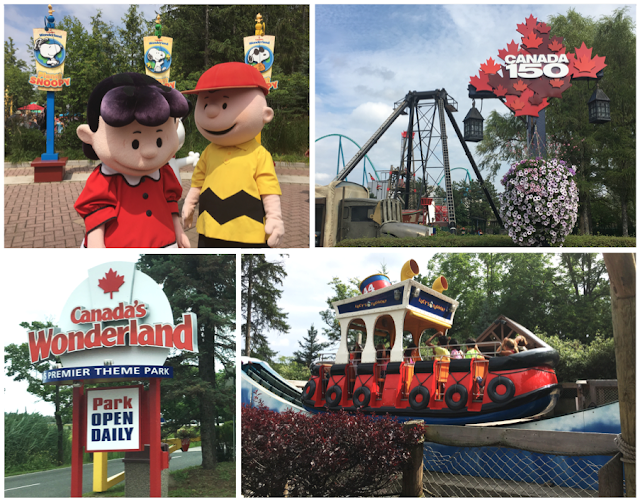 We want to make the most of our time together and so we continue the tradition of spending a day at Canada's Wonderland at least once during the summer. With roller coasters and rides, plus a super fun water park, it's the perfect place to pack in twice the fun in a single day. 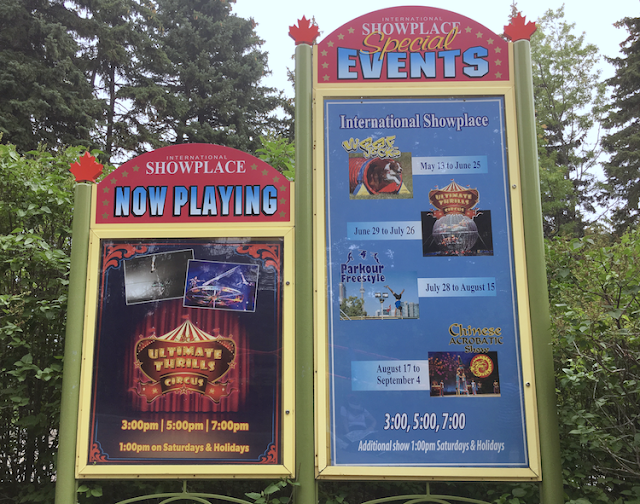 Last week, we made a point of checking out a couple of the summer events taking place this summer at Canada's Wonderland. First up was the Ultimate Thrills Circus at the International Showplace. We watched an impressive incline motorcycle highwire act that culminated with a 360 degree spin. My son marvelled over this part. We then enjoyed an aerial silks performance, as seen below. 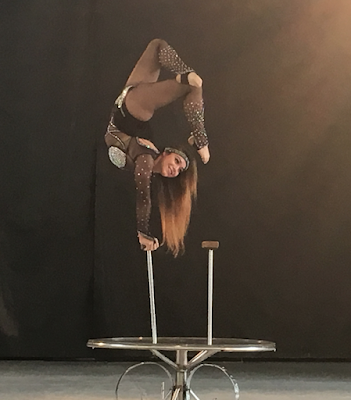 We also watched a contortionist demonstrate her incredible flexibility and agility. I still can't believe she was able to pop a balloon using a bow and arrow with her feet while standing on her hands. On her first try! Of course, we didn't forget to have some fun on our favourite rides, such as Thunder Run, Peanuts 500 bumper cars, the Ghoster Coaster and Silver Streak. We also checked out some of the new rides such as Muskoka Plunge, a towering 60-foot tall waterslide at Splash Works, and Soaring Timbers where riders sit on one of two massive gondolas that sweep through 360 degree rotations, the only ride of its kind in North America. And did you know? 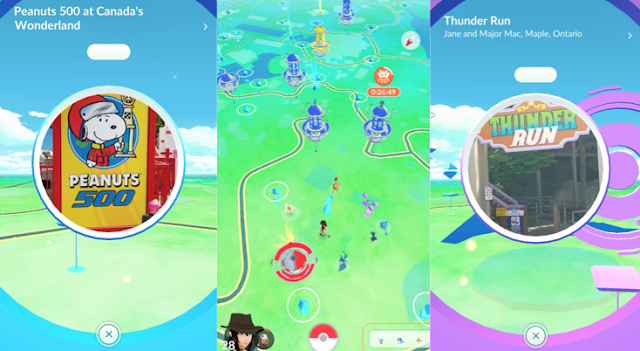 Canada's Wonderland is a Pokemon Go hot spot. It sure makes waiting in line fly by! If you plan on heading to Canada's Wonderland for some summer fun, take note that KidZfest is taking place from July 31 to August 6. This special weeklong celebration just for kids will feature live entertainment, dance parties, foam pits, and MARVEL© Superheroes. 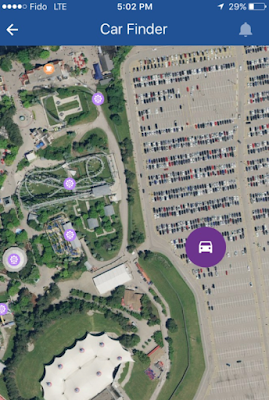 And don't forget to download the Canada's Wonderland app that not only includes helpful information on events and activities, it also has an interactive map that can show your current location, the location of rides, washrooms, food venues and other amenities, but it also includes a handy car finder. Just be sure to pin your location before you head into the park! My kids loved going to Canada's Wonderland when we lived in Ontario . I haven't been there since public school, so that has been many many years ago, still looks like a great place and lots to do!! I would love to go to Canada's Wonderland, it is definitely on the list to do for vacation. Wanted to go this fall, but, the weather has turned! Hopefully we will get a warmer weekend and we can get a Wonderland day! Ww want to go!! Your kids are a great age for Wonderland! Wow, the Flying Frontenacs Stunt & Dive Show would be a really cool experience to watch! Looks like you and your family had a lot of fun! I am looking forward to going next summer, I haven't been in years.